My youngest (Lilibeth) is turning 2 the day after Christmas. And as I wasn't done (and wont be for years) with doodlebug's milk and cookies collection I thought it would be fun to turn it into a book theme for our little bookworm! 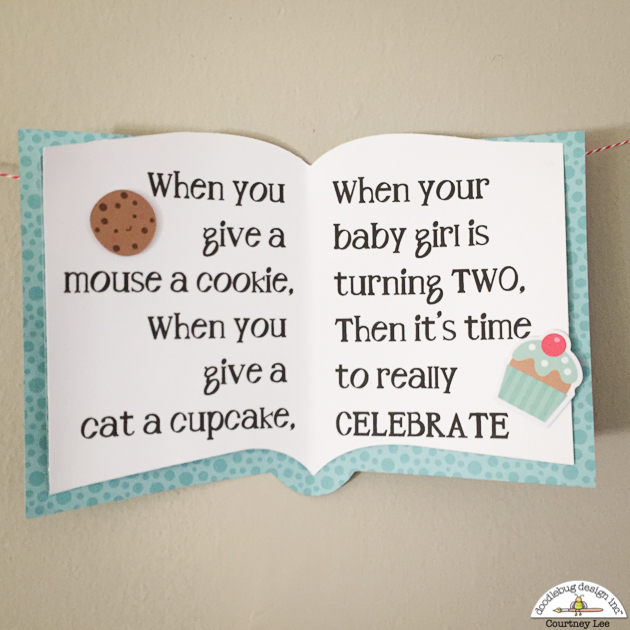 I chose the books, "If You Give A Mouse A Cookie" and "If You Give A Cat A Cupcake" as the theme books for the party. First of all one needs an invitation. I have found that invitations with a lot of parts can be frustrating to put together. So instead of doing that this time I used my print and cut feature and doodlebug cut files to create this invitation. 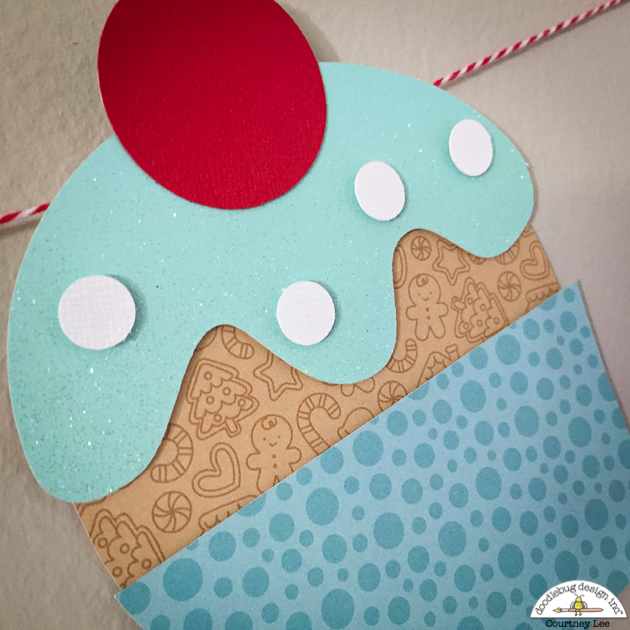 I embellished it with paper from the milk and cookies line as well as glitter sprinkles to give it some pop and liveliness! 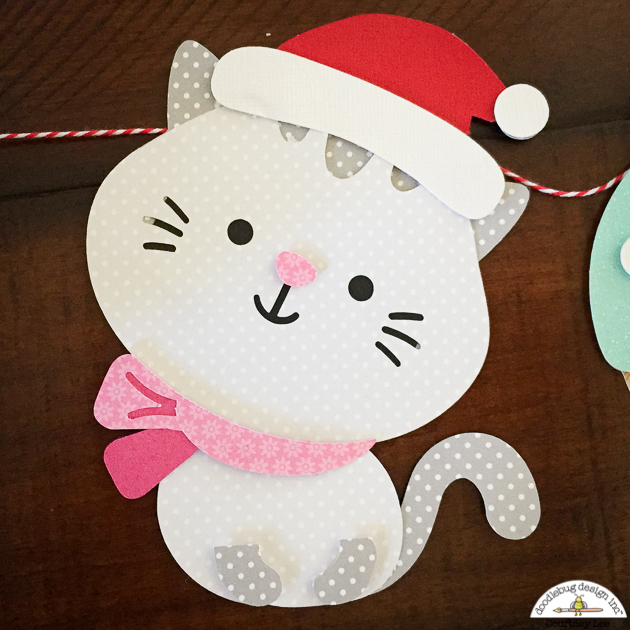 The details will go on the reverse side, but this is a quick way to make a lot of invitations as well as to embellish them for character. 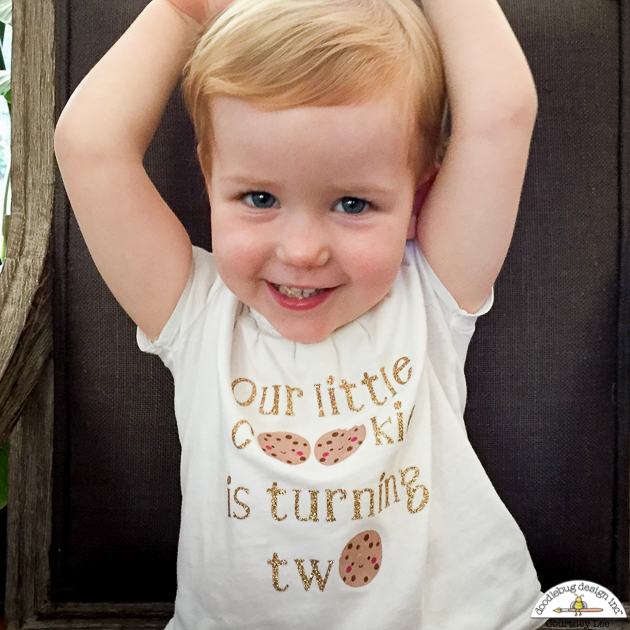 Next I made this cute t-shirt that says, "Our little cookie is turning two". This is gold glitter iron on material and printable iron on for light fabrics. I printed and cut out the cookies and left spaces for the text in order to get this look. It is sooo much cuter in person! None of my kid's birthday parties would be complete without a banner! 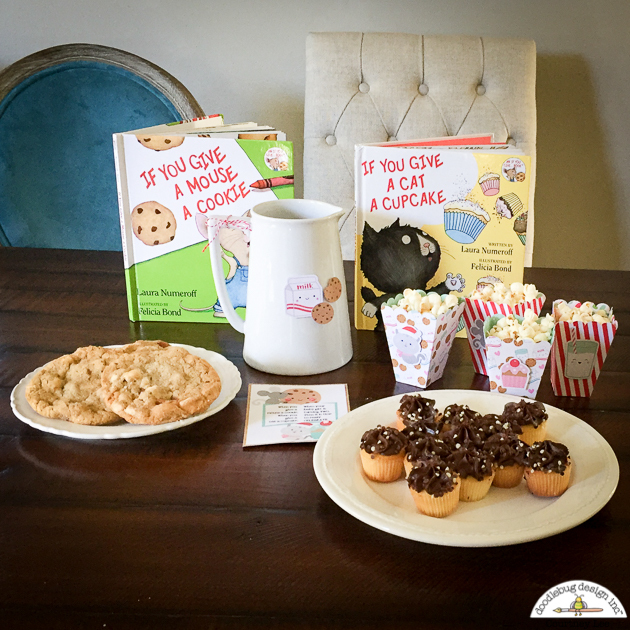 I once again used the book and added some of the Odds and Ends from the Milk and Cookies line. 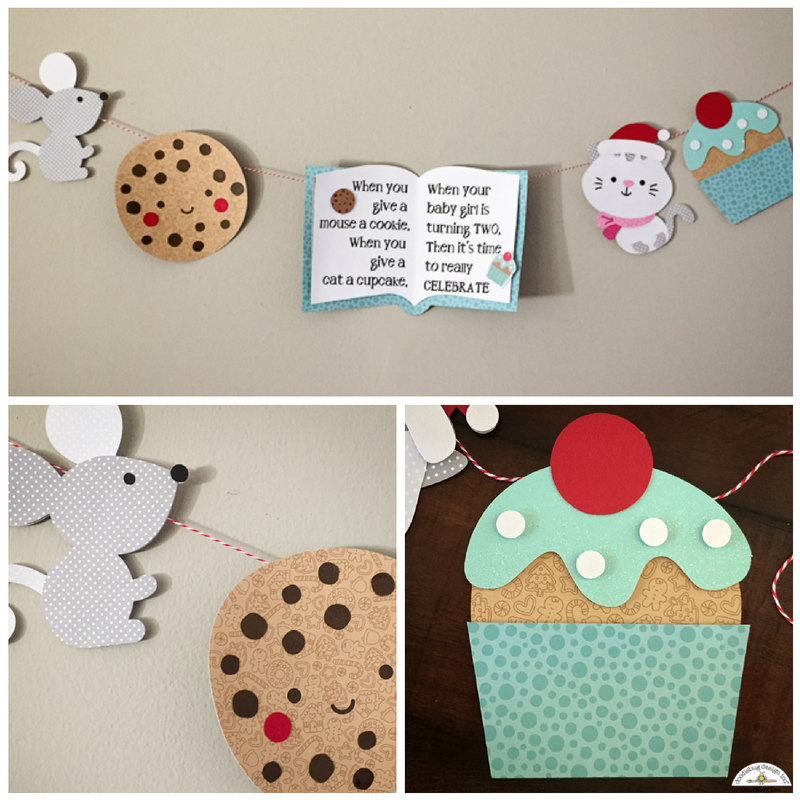 The papers are swiss dots, milk and cookies, booville, petite prints, and some sugar coated cardstock. It was really fun to look through my whole collection and just grab papers that were perfect from all different lines! Here are a few more close ups of the parts of the banner. These pieces are about 6" high so they are a really good size. 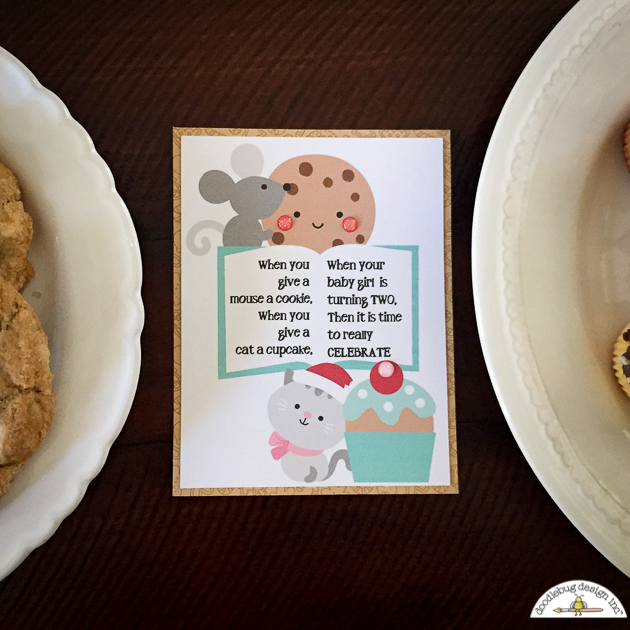 I used the doodlebug cut files for milk and cookies as well as one from flea market (the mouse). 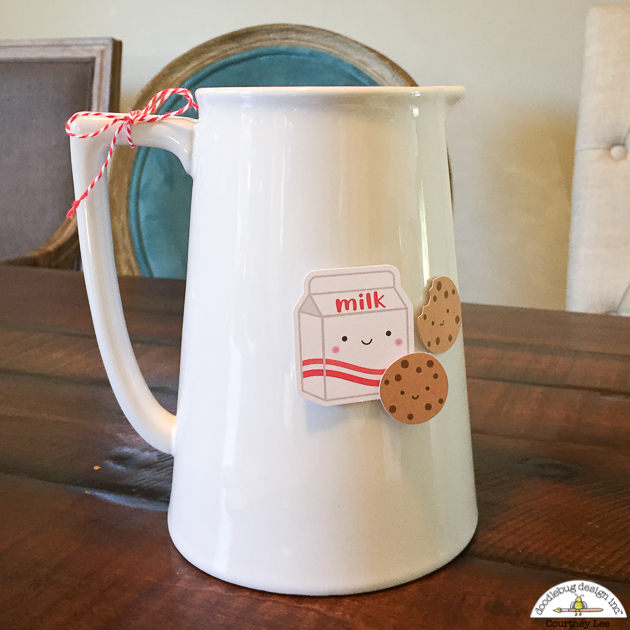 For small details of the party I added these cute odds and ends from the milk and cookies line. PERFECT for extra party decor! Treat boxes are clearly necessary for any party table. 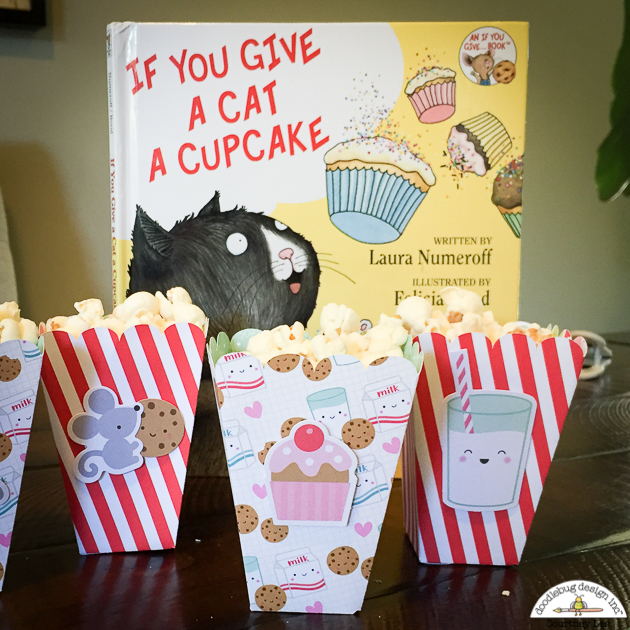 I cut these popcorn boxes and then simply used foam dimensional squares to stick the odds and ends onto the front of the boxes. Easy peasy and as my daughter LOOOOOOOVES popcorn I knew I had to get it incorporated into her party. This is going to be such a fun set up when it is all said and done and this will definitely jump start my progress for her party! 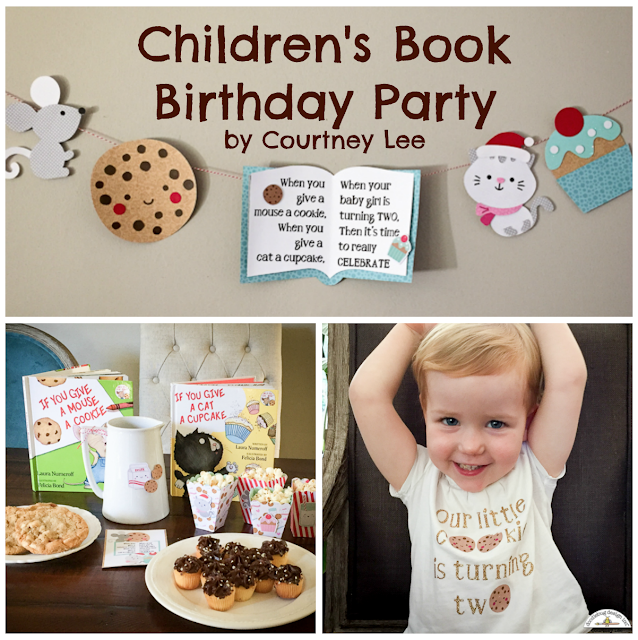 I hope you have been enjoying our party feature and that you had a wonderful Thanksgiving! I'm not sure which is cuter... your project or that sweet face!! !